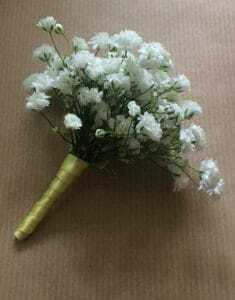 Why are Buttonholes worn at weddings? Apart from them adding colour and giving the Groom a chance to get in on the Wedding Flowers!! 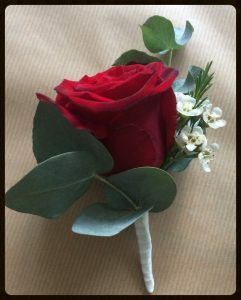 It is believed that Buttonholes came to England in the medieval times. Knights of the realm would wear their bride’s colours to show ever-lasting love and commitment. 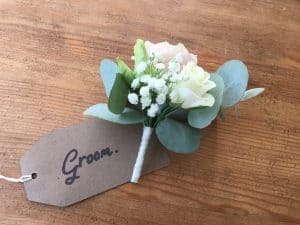 While traditionally a carnation or a simple Rose buttonhole would suffice, larger buttonholes and more exotic flowers are now being used to complement the bridal flowers. 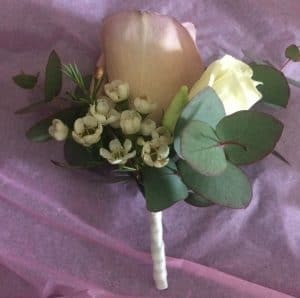 Fashionable vintage look wedding are opting for simple gysophila buttonholes for the Groomsman to complement gypsohila bouquets held by the bridesmaids. 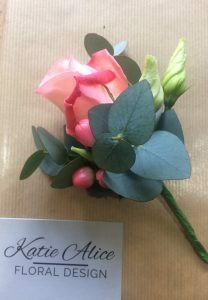 At Katie Alice Floral Design we love hearing about all of your ideas for the big day. Working along side you to create the most fabulous floral creations to complement your Wedding.